This fair will focus on the future of Auto-Mobility logistics, bringing together industry experts, thought leaders, exciting showcases on latest technologies such as Smart Wearable, Internet of Things and Augmented Reality to engage and exchange on current key trends and solutions. 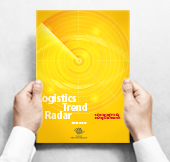 To do so, the event will be put together external suppliers and DHL divisions to display the latest value propositions in the Global Forwarding, Express or Supply chain business. You are welcome anytime between 09:30 and 17:00 for an entire day of discoveries including keynote speakers, cutting-edge innovations and thought-provoking case studies! Join some of the plenary sessions and working groups based your particular interests, network with Automotive industry peers and create your own unique experience of the day. Ready to enable new efficiencies, gaining insights and exploring creative solutions at the DHL Auto-Mobility Discovery Fair? Industry experts and leaders will focus on latest technologies and the specific Auto-Mobility supply chain requirements of Thailand and the region.Dont miss your chance; join the fair! Enjoy the opportunity to discover the latest technologies during a guided tour supported by DHL Auto-mobility experts and partners. Experience the innovative solutions that are shaping the future of logistics – augmented reality, robotics and much more. DHL cordially invites TEBA members to participate in this thought-provoking event discovering what the Auto-Mobility Supply Chain of the Future could look like! We are looking forward to seeing you on November 16th. Delivering Insights Today, Creating Value Tomorrow. Digitalization. Industry 4.0. Software is eating the world. Regardless of the terminology that’s being used, by now your organization will have felt the challenges of a world embracing the digital revolution. Copyright Â© 2018 Thai-European Business Association, All rights reserved.